Gracenote is the largest provider of tune-in and engagement metadata in the world. 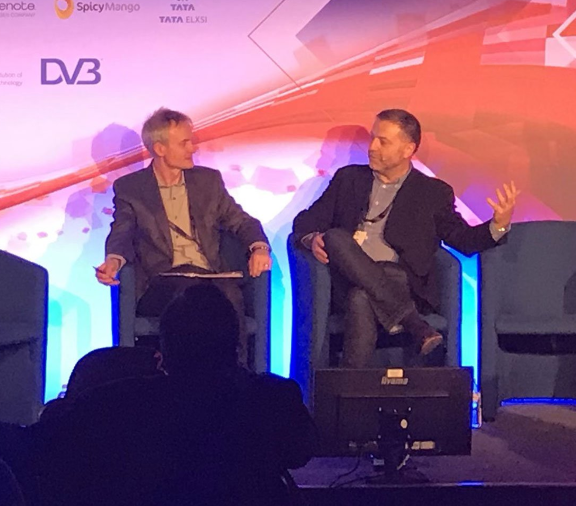 This conversation with Simon Adams, General Manager Video and Sports explores how the company is using the latest techniques to power the best experiences and newest features in content search and discovery. I talked with Mr. Adams before a more extensive interview at the TV Connect Conference in London on May 10th, 2018. Gracenote creates the basic statistical information about the games and matches in all the major sports. It then connects this data to the TV schedule data making it easier for consumers to find the game they want to watch. The company analyses the data to anticipate when a game might run long and automatically extends a DVR recording that is set to catch the game. It also uses this data to help operators to create a personalized sports experience. For example, Gracenote helped power the athlete biographies in the Comcast X1 Olympics Sports app. Gracenote uses AI to automate the creation of metadata that would take too long to build by hand. For example, Gracenote used AI to analyze episodes of library television shows, such as I Love Lucy and Star Trek, to generate screen art for visually oriented guides. The process is particularly helpful for binge-watching episodic shows. It can generate unique images from each show, rather than having the same image for all. What voice technology does is take the spoken word, convert it to text, and link it to the relevant celebrity or movie. Of course, people can refer to media and celebrities in many ways, and those ways are changing all the time. For example, someone might refer to Game of Thrones as G.O.T. or even GOT. The system must know GOT is an alias for Game of Thrones. To replace the remote with voice commands the system needs to understand that aliases for the FOX affiliate in San Francisco include FOX, channel 2, and KPIX. Gracenote has ACR technology in many of the TVs from LG, Roku, and Samsung. Every 0.5 seconds the technology takes a screen fingerprint, sends it into the cloud, and matches it a show or ad to understand what the viewer is watching. That provides information like when a person tunes out of a show, how long they watch for, and which ads they see. The data flow from all the television sets generates 6 trillion pieces of data monthly. However, Gracenote can aggregate this large data stream in real-time and say what is popular at given moment. Techniques such as ACR, AI, and voice discovery and control are helping tame the increasing complexity of finding something great to watch.